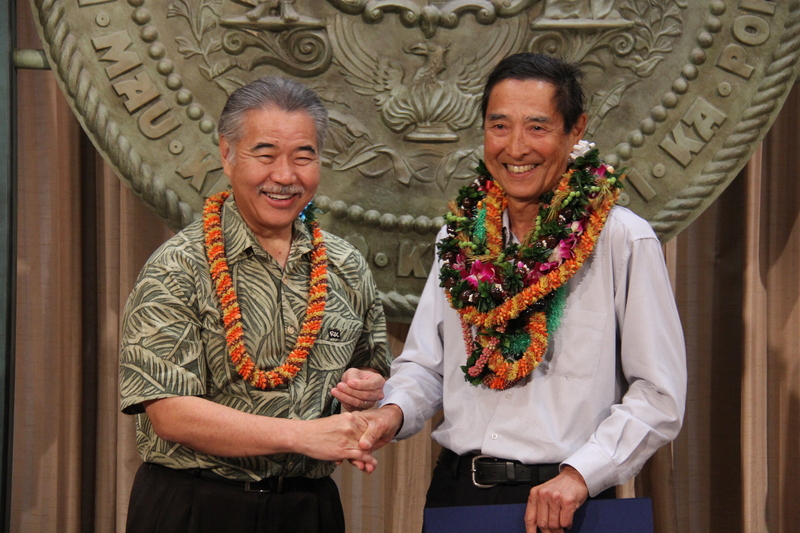 KUDOS: Governor Ige congratulates coach Dave Shoji. It was “Dave Shoji Day” April 13 at the state Capitol to honor the iconic UH Rainbow Wahine volleyball coach who retired this year after 42 winning seasons. Governor Ige praised Shoji for “inspiring generations of young girls” and earning the respect and admiration of the people of Hawai‘i.